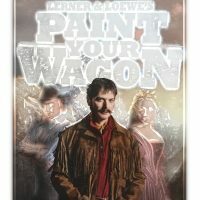 I must admit I was rather giddy to see the opening night of Jon Marans’ new book adaptation of Lerner and Loewe’s Paint Your Wagon at the 5th Avenue Theatre last night. Reading the production notes about Marans’ collaborative working process with director David Armstrong, music supervisor Ian Eisendrath and choreographer Josh Rhodes only added to my anticipatory excitement. In reviewing 5th Avenue Theatre productions, I’ve found they seem to excel both in fostering new Broadway worthy fare and in reintroducing Broadway classics to modern audiences. With this in mind, I was rather interested to see how they would reinvent or reboot a somewhat historic musical that was more praised for its melodies than its storyline. Being unfamiliar with both the original version of Paint Your Wagon and the extremely modified Clint Eastwood film version, I did not have any distracting accompanying nostalgia for the original musical to influence my opinions about this new adaptation. Instead, I looked forward to simply seeing if Marans’ new book held up on its own merits. 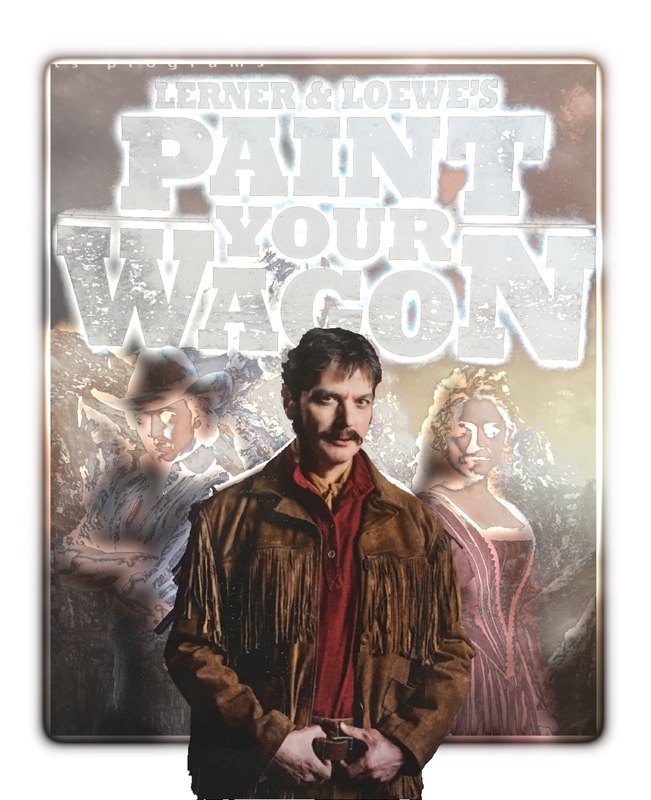 The 5th Avenue Theatre’s production of Lerner & Loewe’s Paint Your Wagon is an extremely enjoyable night of musical theatre. The songs are catchy, the staging is engaging and well paced, the transitions are creative, the set design is rich and layered and the lighting is simply magical. I think one night of 5th Avenue Theatre lighting can take away one month’s worth of depression. Seriously, the sunrise, sunset, moonlit, storm lit hues created by Tom Sturge’s lighting design, in partnership with Jason Sherwood’s layered, three dimensional scenic design, is really a feast for the eyes and the soul. I also was a complete sucker for the rotating stage and its clever use, but not overuse, in musical numbers and scene transitions. As far as the acting goes, the 5th has once again put together a diverse ensemble of gifted actors. Diversity seems to be the trajectory of Marans’ new adaptation of Paint Your Wagon as he tried to depict the multicultural realities and tensions that must have been present during the California Gold Rush. To accomplish this, we are introduced to various characters that represent subsections of the American westward expansion experience. Justin Gregory Lopez plays Armando, a Mexican whose family was forced out of California by America’s Manifest Destiny. Kyle Robert Carter portrays Wesley, a slave traveling alongside his unscrupulous entrepreneurial owner Jake Rutland (Louis Hobson). Rodney Hicks depicts an educated free northern black man intrigued by the possibilities of the west. Steve Eng and Mikko Juan play Ming-Li and Guang-Li, Chinese brothers struggling between a desire to go home and the desire to find acceptance in American culture. Eric Ankrim plays the ignorant Irishman, William, trapped in a cycle of alcohol, gambling and poor decision making. Trying to represent the diverse experiences of every American diversity group is not an easy task, but for the most part, Paint Your Wagon does a fair job of trying to develop characters that go beyond stereotypes, although it feels as if I’ve seen the drunken Irishman archetype before. Regardless of the obvious difficulties of portraying in-depth cultural nuances in musical form, it is an incredibly admirable task to try and deal with all of these colliding racial and ethnic backgrounds. The actors do a wonderful work creating nuance and depth to their characters. You end up caring about each individual, even when their actions are morally troubling. Surrounding the ethnic tension of Paint Your Wagon is the hero of the show, a middle aged white man with family problems. I don’t know if Robert Cuccioli was born to play the rugged, individualist Ben Rumson, but he certainly grew into the part. Cuccioli is a great actor who knows when to be understated and when to put a little boom in his voice. His stage presence sort of comes across as an amalgamation of James Garner and Gregory Peck. He has the right amount of dignified and vulnerable to make you believe he can be confident enough to be misguided, but humble enough to change. Hearing his voice let loose on the climactic song They Call The Wind Maria, while watching his face flare with lightning flashes, is one of those moments when you realize the solely unique pleasure of musical theater. Equaling Cuccioli’s performance was Kendra Kassebaum playing Cayla Woodling. Of all the images I will remember most from last night, it is Kassebaum smiling and subtly laughing while being thrown in the air during one of the most creative dance numbers of the night. Not to give away too much of the musical, but there is a number where Kassebaum basically dances with every male cast member of the show. During the dance, there is an increasing amount of tension between the men. The choreography of the dance and the way Kassebaum turns that choreography into such a natural joy, was truly one of the highlights of the evening. When an actress can pull you into a moment with a simple smirk and the tap of her foot, she is truly a gifted performer who has been given the ability to shine through gifted choreography. One other performance also worth noting is Kirsten deLohr Helland who arrived as Jennifer late into the show. Although her love interest motivation seemed a little vague, she was certainly able to make beautiful music with her onstage counterpart, Armando (Justin Gregory Lopez). Her voice paired beautifully with her Spanish-speaking, forbidden love interest. My assumption is the attraction between these two must have had something to do with Armando’s biceps. Although not shown on stage, there certainly must have been a 24 Hour Fitness or Gold’s Gym open somewhere in that small Californian town. So much for scrawny prospectors. If there was a workout club in town, it most assuredly would have been owned by Jake Rutland, played by Louis Hobson. Jake Rutland is basically a representation of American capitalism, racism, debauchery and Donald Trump. If you think the Trump appraisal is too much, just watch for the Palace. Hobson plays an excellent villain in his ability to seem likable in certain circumstances. Like most good demons, he is less the cause of sin than the guy who simply sets the table or stirs the drink. Human nature does the rest. As far as technical issues, there is only one real complaint I have about the production. I would personally prefer a sound mix that made the actors voices much louder, or at least one that made the music softer. It seemed to me that the music overpowered the voices in many instances and it was difficult to hear the actors when they spoke in softer tones. With the advancement of home theater and movie house sound systems, I think the 5th Avenue Theatre should seriously consider revamping the way they project sound through their theater. I understand that this might be a stylistic choice, but I feel as if the sound creates a distance between the audience that works against the intimacy one feels with the set design and lighting. This is especially true for people who have seats farther back in the theater. On the night I attended, I had a particularly difficult time hearing Louis Hobson’s character as his mic cut out more frequently and was often at a lower level than the other performers. I thoroughly enjoyed Paint Your Wagon and would highly recommend anyone go see it. However, I was somewhat unsettled by its conclusion and its underlying view of race. With this in mind, I’d like to address what I see as the possible problem with Paint Your Wagon’s conclusion. To do this, I might be giving away some general, overarching spoilers. So if you want to be pleasantly surprised by the show, don’t read on any further. Paint Your Wagon takes a masterful turn in the second act to reveal that it is really a story about much more than just relationships or love or ethnic tensions. What we come to realize is our white, male, middle aged protagonist is not just a lonely man looking for love; he is, in fact, America, or at least the idea of what white Americans want America to be. Rumson represents a rugged individualism, a strong sense of what is morally right and wrong, a desire to do good and to live simple. He is the classic hero we used to root for in westerns; the stranger who has a heart of gold. He might be a little rugged or rough around the edges, but inside there is a really good person who will do what is right and honorable when confronting injustice or evil in the world. In the first act of the musical, we see Rumson demonstrate those supposed American ideals. However, in the second act of Paint Your Wagon, we see that Rumson does not have a virtue that stands above or beyond the tainted, racist, twisted ethics of the world he lives in. 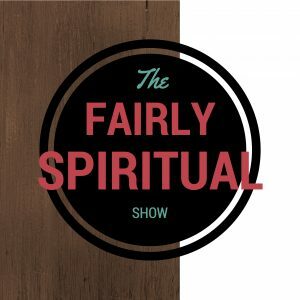 In fact, when prejudice and racial conflict reveals itself in a Ferguson like event, Rumson demonstrates that he has thoroughly embraced the ethics of the dominant, white culture. He may speak of justice and have a Mexican friend or business partner, but when it comes to his daughter or the peace of his town, he sees the world through the eyes of his white, male privilege. The revelation of this truth makes Paint Your Wagon a very compelling production and gives tremendous weight to Rumson’s lamenting rendition of They Call The Wind Maria. Yet, in personifying Rumson as the American ideal, the musical comes to some unsettling conclusions. In response to Rumson’s less than ideal virtues, he is greeted with forgiveness and acceptance from the ethnic and gender groups he has harmed. He is also allowed to fully take back his position of power to lead the city and its diverse people into a promising tomorrow. In other words, reconciliation occurs through Rumson apologizing and through all those without power in the city accepting his apology and allowing him to fully take back his place of power as the leader of their community and the leader of the musical. A hopeful song is sung, the musical ends and the primarily white audience claps at the happy resolution. I am not trying to be flippant in these observations, but it feels as if the resolution of Paint Your Wagon is one that would seem rather pleasing to white America. It is a reconciliation through apologizing and forgiveness, without any real shift in power. In the beginning and in the end, the middle aged white man runs the town. As I think about these issues, I don’t know if this problem could be solved. Is there a possible way to have a happy or authentic resolution to race relations within a historical time period that did not value racial, ethnic and gender equality. At some level, I wish there had been a way for Rumson to lose power in his character arc, power that he could not get back at the end of the show, power that he did not want back and would not be given back. However, we know that if power had shifted to minority groups, that too would have been a fiction only suitable to musical fantasy. All this to say, I believe Paint Your Wagon should spark some worthy discussion about race and how we speak about race and reconciliation. I would be very interested to listen to how individuals from other ethnic, race and gender groups view the resolution of this western tale. I certainly do not have a clear perspective as a middle aged white man. Regardless, I am thankful that The 5th Avenue Theatre took a risk to reinvent a musical that is has always been full of many memorable songs and now is full of lots of thought provoking content. 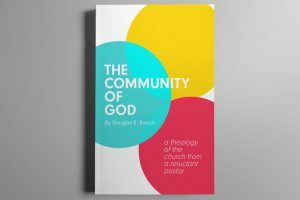 Thought provoking and thorough review. Reblogged at lovetruthpeace blog.